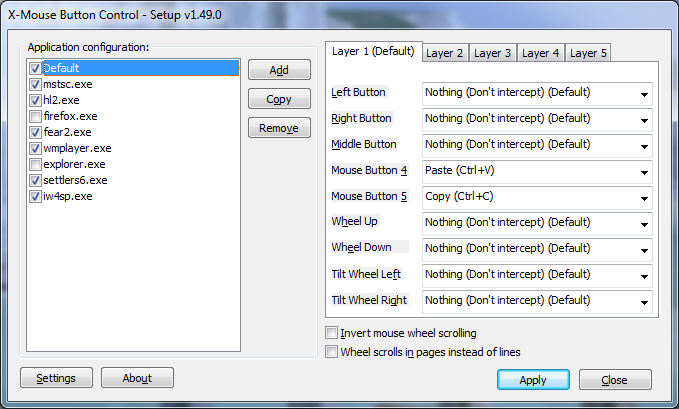 The installation of X-Mouse Button Control is easy and intuitive, you can place the program files where you want them. Windows 64bit won't let you use your extra trackball buttons? Well thats what happened to me anyway. I won't bore you with all of the details. But I had spent many hours looking for some kind of a solution for this problem. Then I found (drum roll) X-Mouse Button Control! It solved my problem in a flash. In conclusion, I highly recommend X-Mouse Button Control - for me it was a real life-saver.